A country blessed with scenic and picturesque walking routes, alongside a fascinating cultural history, Germany is one of Whereabouts’ top European destinations to explore on foot. Whether it be the old paths or ancient monuments that you fancy, Germany has something for you to explore. All our German holiday packages have been designed to include the perfect mix of adventure and discovery. Although Whereabouts has access to a wide range of German walking holidays, we’ve managed to gather together four different adventures to take you on. Hear us talk the talk before you walk the walk. Read on to find out more about our fantastic Germany hiking tours. 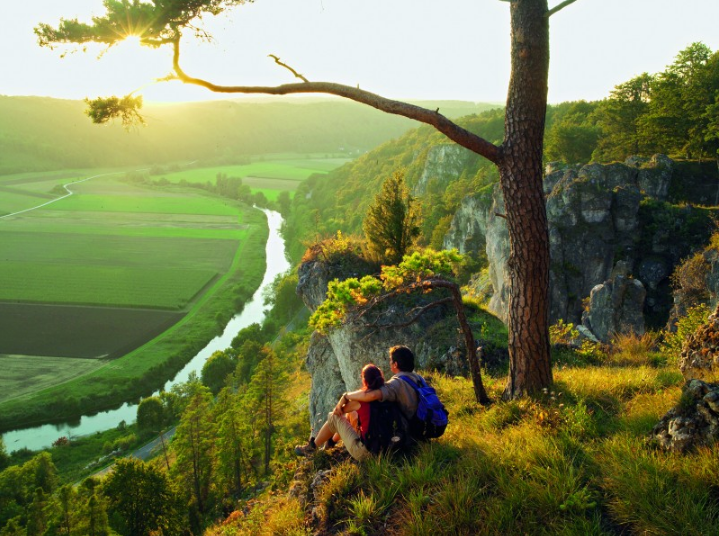 This week-long excursion in the German state of Bavaria is certainly one for all our nature lovers. 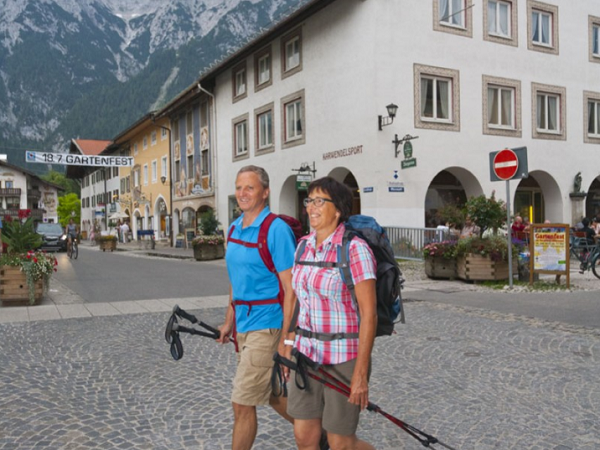 The self-guided walking holiday, starting in the ski resort town of Garmisch-Partenkirchen, will take you across some of Germany’s most scenic paths. Walk through the incredible Partnach Gorge and witness the 702m long mountain stream which elegantly runs over mossy green rocks. The gorge has a magical feel, as the mountainous backdrop creates an awe-inspiring path for you to venture down. We’ve even been told that it feels like a setting out of Lord of the Rings! You’ll then be venturing into Austria to explore the more green and open spaces of the Leutasch and Gaistal Valley, rural locations with peaceful and magnificent meadows. Here you can enjoy a picnic and take in the scenic views. Just remember to bring your walking boots, as heading back into Germany will take you to the foothills of Zugspitze, whose caps will be spectacularly covered in snow over winter. If nature walking is your go-to activity, then there aren’t many better locations than Germany’s Bavaria. Julie Andrews may have had the hills alive with the sound of music, but you too can experience them with this hiking adventure through Bavaria. German hiking tours typically include some mountainous routes and Whereabouts’ Bavaria trip does not disappoint. Book to experience these panoramic views now. Discover the ‘Salzalpensteig’ hiking route, as you start from the historic Lake Chiemsee and finish at the picturesque Lake Königssee, where the water runs so clear that boats look like they are floating on air. During the route, you will venture through alpine pastures and come across more of the country’s crystal water lakes – there are plenty of moments to capture on camera! Alongside the lakes, you will also hike through pine forests and the mountain Rauschberg, which is accessed via cable car. The natural pathways will take you to a pretty high altitude, but the summit walking will be worth it as the views at the top of your journey are simply breathtaking. We take hiking to a whole new level during this week-long adventure in Bavaria. Book now with Whereabouts Holidays to experience one of the most adventurous walking tours in Germany. 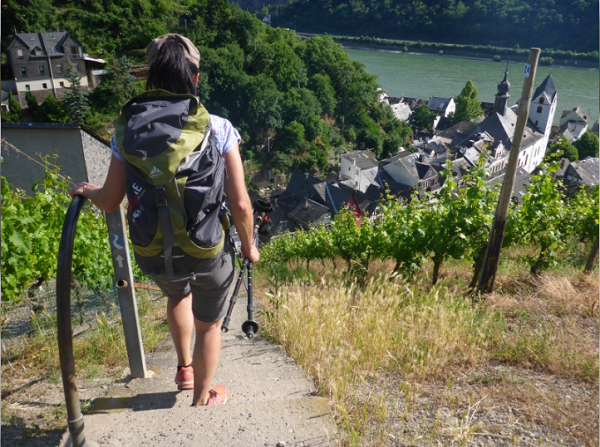 Visit parts of the famous River Rhine during this 11-day walking holiday that holds a bundle of attractions and breathtaking walking routes to discover. Walk alongside sections of Germany’s most famous major river and experience the scenes in full flow, as you embark upon some of the greenest routes available. Starting in the City of Mainz, famous for its Old Town and medieval markets, the walking holiday also allows time to visit popular tourist areas. For those who also love historic monuments or appreciate classic architecture, this trip is for you. To the surprise of some, the River Rhine is also the home to various castles. On your adventure, you will explore the medieval Gutenfels castle and the incredible Pfalzgrafenstein, a unique and magical fortress. The 12th century Eberbach monastery is also a holiday highlight and quite a vintage setting to behold. This walking holiday certainly holds a certain Game of Thrones vibe to it. The perfect combination of monuments and nature’s finest scenery, this German holiday package down the Rhine is a trip that holds it all. Take a trip to Germany’s second largest nature park, with the first day of your excursion in the quiet town of Treuchtlingen, situated in the centre of the park. The historic small town is fun to explore and isn’t the only fascinating living space to encounter. Whereabouts also takes you into the even smaller municipality of Solnhofen, located within the Altmühl Valley. The nature routes are an unforgettable experience, as you pass along mountain paths and juniper heaths before reaching the beautiful and ancient Danube valley. On your travels, you will get to experience the picturesque town of Kipfenberg which is known for its hillside castles. This nine-day walking holiday is certainly one for any explorers out there who like to spend their time in the green and open landscapes. Escape to the peaceful and rural side of Germany. With many holidays to Deutschland from the UK still available over the Autumn period, book now with Whereabouts Holidays.